Advocate2Vaccinate is the annual, spring advocacy activation of the UN Foundation’s Shot@Life campaign. 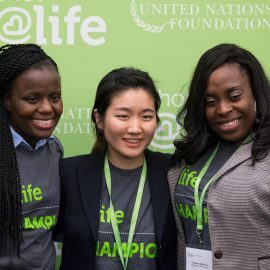 In the weeks leading up to World Immunization Week, Shot@Life asks our network of champions across the U.S. to contact their members of Congress and stress that funding for global vaccine programs is a priority. 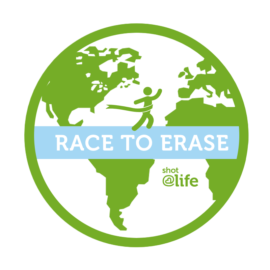 Champions across the country will be taking advocacy and fundraising actions to virtually race alongside their fellow Shot@Life advocates and raise awareness for World Polio Day, World Pneumonia Day, and tell their Congressional offices that funding for global vaccines is a priority. Held annually each fall.